Police Special Task Force and Anti Narcotics Unit yesterday busted up an international drug-smuggling ring arresting five suspects along with 90 kilograms of heroin. Police said that Two Americans and an Afghan were among the suspects, and two were Sri Lankans residing in Hikkaduwa, aged 39 and 41. . 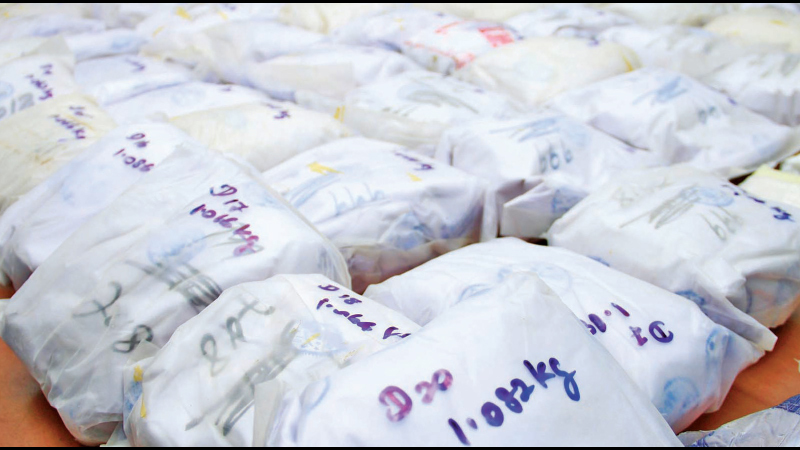 The consignment of heroin is valued at Rs 1080 million. It was arrested from a luxury housing scheme in Kollupupitiya, police said. The two U.S. nationals arrested are aged 29 and 43. They are said to be involved in transnational drug deals. The Afghan suspect is 45-years-old, police said.